As you all know, I have been having major issues with my skin lately. 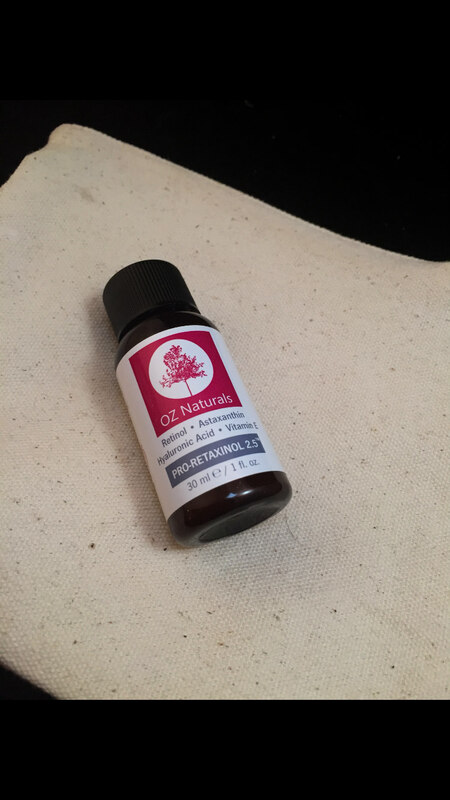 Retinol serum is one of my routines that I have been using. 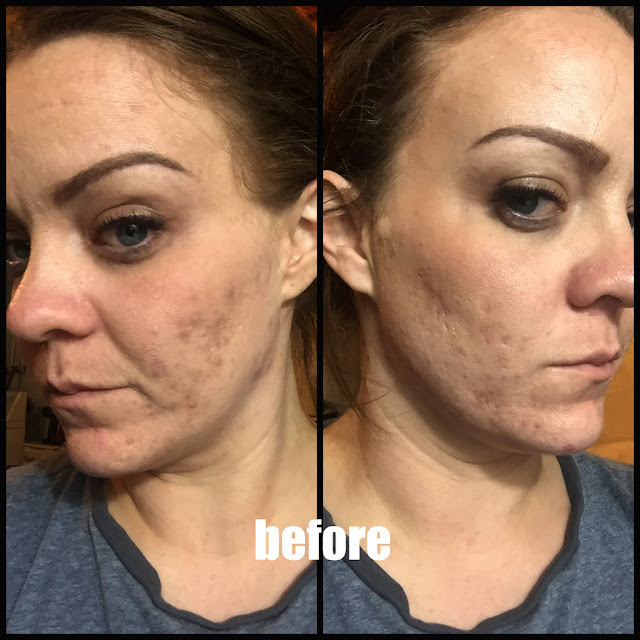 I had a dermatologist once prescribe me Retin-A and it tore my skin up so bad. It did clear me up but it took me so much longer to repair the burn it did in the mean time. So, to replace the strong 10% I had with that, I use a lower dosage retinol. 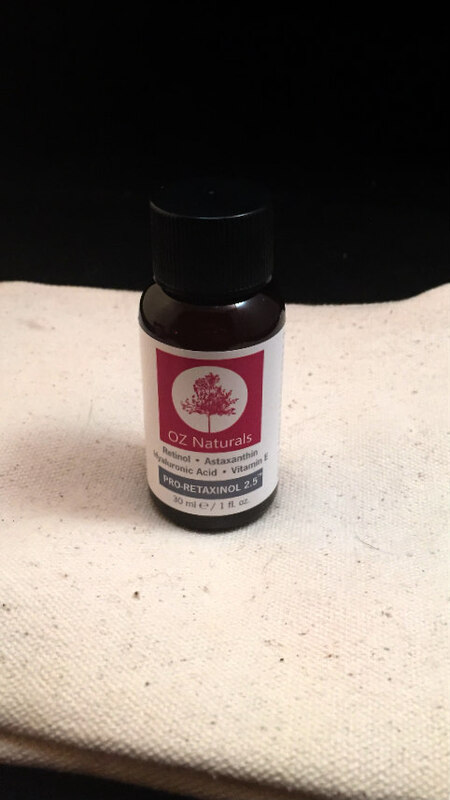 OZ Naturals has a 2.5% Retinol Serum which has Astaxanthin and Vitamin E to help maintain your elasticity in your skin all while helping smoothness. I use this as part of my routine to help even out my skin tone, help reduce/prevent wrinkles and improve elasticity. 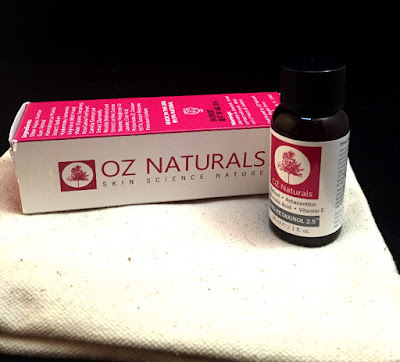 OZ Naturals is Cruelty Free, almost 75% organic. It does not contain alcohol, parabens or sulfates. This is key because it won't dry me out. PLUS, I already use a sulfur treatment on my face so I don't want to do double duty on the drying.In addition, OZ Naturals is made in the USA.